When I first saw this table top radio I got all excited. 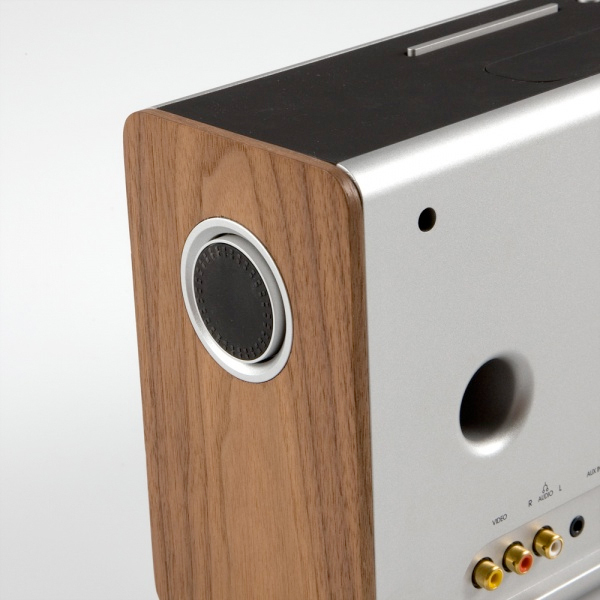 The retro styling looks like it could have been designed by Dieter Rams for Braun. A clean some what minimalist look in wood and brushed steel. I was so impressed with the images I saw I thought I’d dig up some more information, especially since this goes for $399.00. I was really hoping I’d find a review that said this was worth the money, especially since it has so many ports on the back of it. Unfortunately that isn’t the case. At the end of the day, almost every review I read had two conclusions. The sound quality is horrid with no bass, and distortion when the volume is turned up. And if you want to get good sound out of it you have to plug in a set of external speakers which kind of defeats the purpose of having a table top radio. What a shame because this thing looks so good. 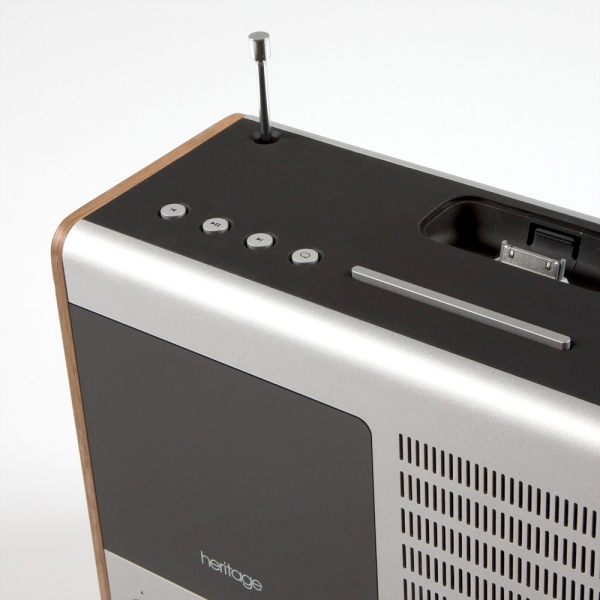 One of the things Revo should have thought about when designing the “Hertitage” FM and DAB radio/iPod dock is, for this kind of money it better sound as good as it looks. 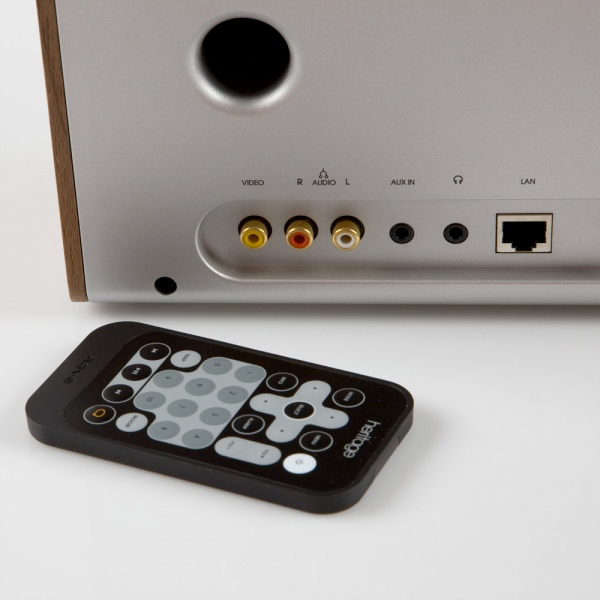 Almost every review compliments Revo on the easy to use controls, and useful features, but ding it on sound quality and the fact that you have to use the online web interface on your computer to bookmark a radio station. And the dependence on the web interface partially defeats the point of having a dedicated internet radio. I was so hoping that the reviews on this would say it sounds as good as it looks. 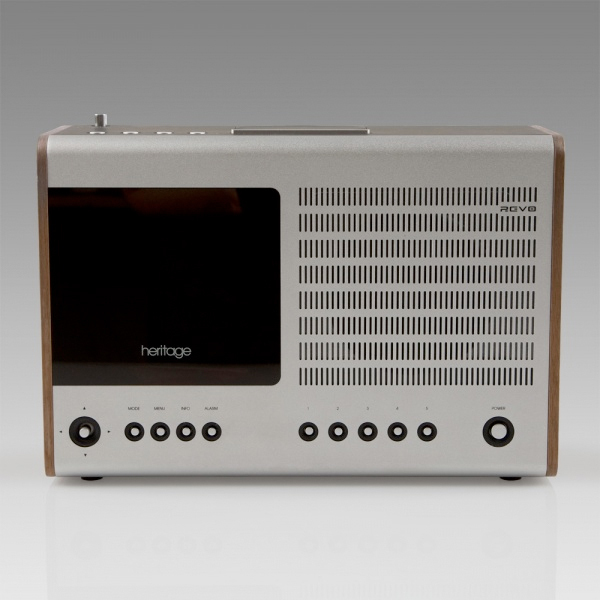 Posted in Music and such, Technology and tagged Dieter Rams, Internet Radio, Revo, Revo Heritage on August 11, 2010 by Author. ← One Year and Counting.